Dips are a fun and yummy way to increase the amounts of fruits and veggies you or your family eats. Whether you’re looking for an afternoon snack or a simple appetizer for a party, fruit dips make a great accompaniment. Here are a few we’ve found that would be great with fresh berries and veggies! Back to school makes your busy schedule even busier, so it can be hard to find time to make something nutritious for your kids to munch on. 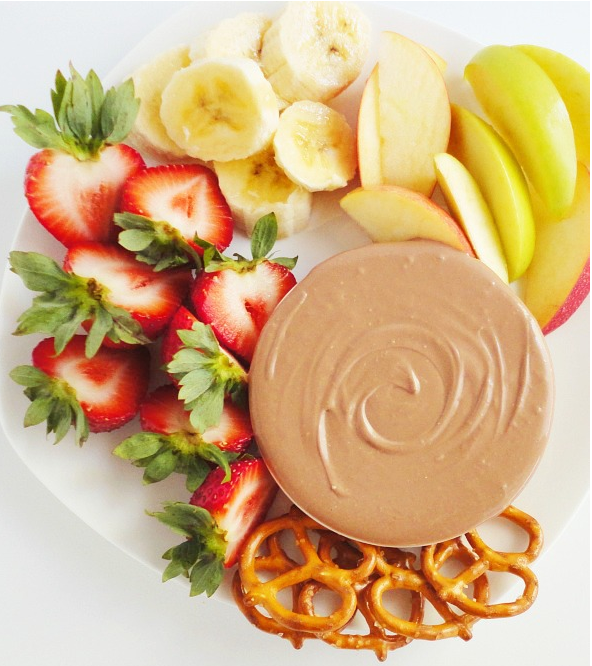 This perfectly balanced healthy snack is great with apple slices, berries and even celery! 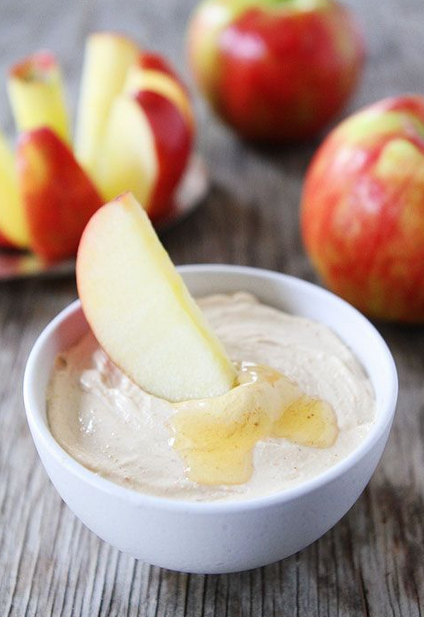 This Peanut Butter Honey Yogurt Dip is also a great way to give your kids a boost of protein since it’s made with Greek yogurt. 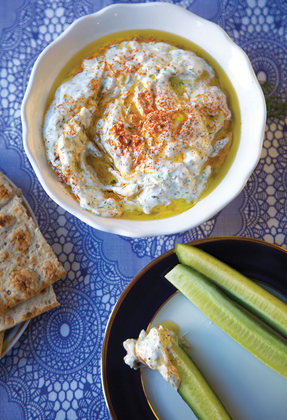 This Tzatziki dip is the perfect combination. With a tangy twist from the Greek yogurt and refreshing taste from the fresh lemon juice and chopped mint, this dip is guaranteed to complement your favorite fresh veggies. With only three ingredients and less than five minutes to make, this Nutella yogurt dip is a must! Whether you’re a fan of fresh berries or need to solve your sweet tooth—this dip is the perfect solution. 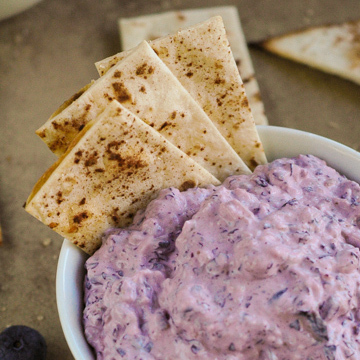 This Cucumber Blueberry Dip is a satisfying choice when you can't decide between sweet or savory. 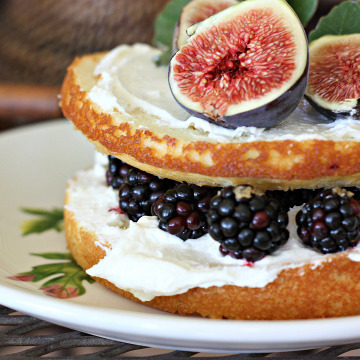 You've got smooth cream cheese, refreshing cucumber and sweet blueberries to excite your taste buds! 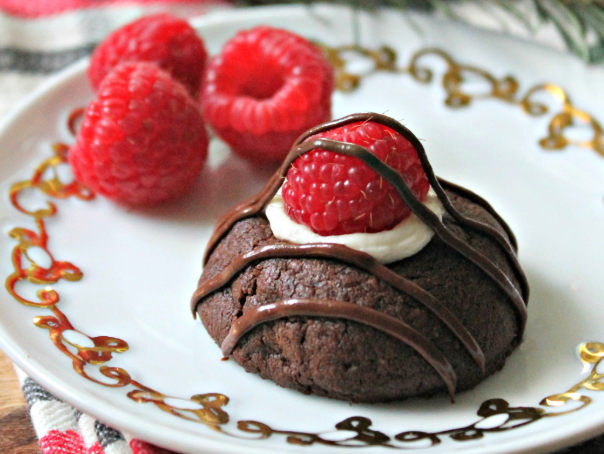 Serve with veggie sticks, crackers, or even cinnamon chips! To save even more time, I like to prep all of these dips over the weekend. It turns into a fun family activity, and then we divvy out all the dips into single-serve containers. Then once the busy week starts, the kids (and parents) can walk right in and have it ready to snack!